With all the uproar over the iSnack 2.0 name recently, it looks like Coles at Broadway is trying it off load its existing stock. Do you really want 2 iSnack 2.0s? And would you pay $5 for them? 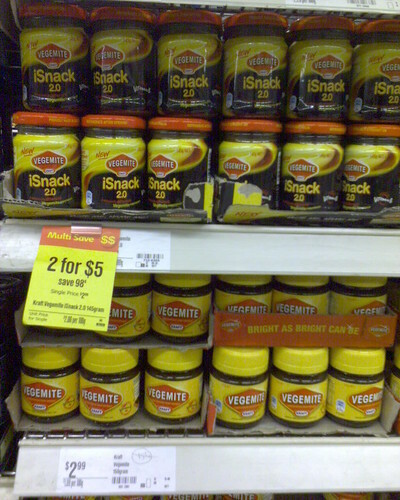 This entry was posted in Photos, Shopping and tagged Coles, iSnack 2.0, Kraft, Vegemite. Bookmark the permalink.